I think you all know by now that I really do take into consideration your thoughts and opinions about all things financially related to my spending, budget, savings, etc. If you ever doubted it, just refer to my recent plan of action post where I have changed up my debt attack plan of action, in part, to accommodate many of the suggestions I have received from readers. But right now I have a different sort of decision to talk about – one related not to my debt, but to savings. And although I know that many of you will probably disagree with my plans, this is not a decision I intend to change. It just is what it is on this one. But to put things in perspective a bit, before I tell you about my new savings plan, I just want to say that I’ve really thought long and hard about this before coming to the final decision. It was a tough call for me, but one that I am happy about. And its not permanent, but will directly impact my budget for the next year. Here goes…. You may or may not recall that hubs and I will celebrate our 5 year anniversary this year (November 2015). I’ve mentioned in the past that I really, really wanted to do something super special for our fifth wedding anniversary. My sights were set on Hawaii!!!! Welllllll, that’s not happening. But only because its been superseded by a different vacation plan. My sweet mother’s birthday was last weekend. Her 59th. And I wasn’t there to celebrate with her. We facetimed so she could see the babies and we sent a small gift, a photo album which I know she will cherish. My family is very important to me, but my Mom holds a special place in my heart. She’s truly one of my best friends (as cliché as that sounds). And, keeping with the cliché, my Mom does everything for everyone. I don’t want to divulge too many of her personal details here, but she cares (physically and financially) for my aging grandmother, she cares (physically and even to some extent financially) for my siblings and myself (no, she doesn’t give me money, but she does ease our financial load by sending tons of clothes for the girls’ birthday and for Christmas, she helps provide gas money when we visit her, she provides meals and childcare when we’re in town, etc. etc. etc.) With all of this caring for everyone else, she doesn’t do nearly enough to care for herself. She still works full time with no imminent retirement in sight. She’s had a dream to go on an Alaskan cruise for years, but instead spends her money on others. Always on others. Never on herself. So my sister and I have planned a surprise for next year’s birthday. In February 2016, we will be taking a Mom’s 60th Birthday/Family Cruise! I wish we could swing an Alaskan cruise, since that’s been her dream, but the price and distance sets it outside of the realm of possibility for us. However, my sister and I have been scouring the internet for the past two months and have decided on a cruise sailing from Galveston (one of the closest ports for my central Texas family). After doing a lot of talking, strategizing, and planning, hubs and I have decided to make this a priority for us. But only on one condition: DEBT FREE VACATION!!! We are planning to cruise in February 2016 (the month of my Mom’s 60th birthday). To ensure that we can do so debt-free, we’re going to plan to save $400/month just for this cruise. Now, that’s a LOT of money. I know. It’s a lot of money that could do a lot of good elsewhere. It could help me get out of debt by an extra $400/month! Or it could go toward a Roth IRA, our 3-6 month savings account, or any number of worthy causes. But, having made this a priority, it will be entered into our monthly budget starting THIS MONTH (yep, I’ve already set aside our $400 savings for the month of February). To feel “okay” about doing this, some changes have been made in other areas of our budget. One thing, for instance, is that I’ve decreased our savings to other areas. I’m going to take things month-by-month (since we have an irregular income, this is the only thing that makes sense). But, for now, I’m holding off on savings in many of the different savings categories that we have created (girls’ birthday, travel/Christmas, pet expenses, 3-6 month savings). We’ll still be saving monthly toward a car repair fund, dental/vision fund, and annual fees fund because these are all regular expenses that we know we’ll incur. The other categories, however, really aren’t needed. We’ll forego a big birthday party for the girls this year (they won’t know the difference…they’ll only be 3), we’ll hope the dog doesn’t get sick (and, if he does, we still have our existing emergency fund), etc. Basically, I can’t in good conscience save toward ALL of these places every month, so I had to make some tough decisions. And, of course, saving $400/month toward Family Cruise 2016 may require a somewhat smaller debt payment than otherwise. But it is what it is. And, to be fair, I kind of warned you all this would be coming (Note – when I wrote the post about balance and slowing down, we did NOT have plans yet for this cruise. But my point is that I’ve kind of known in the back of my mind that a slowdown was inevitable at some point. We’ve now come to that point). To be clear, I’m still 100% invested in getting rid of my debt. That’s why I’ve tried to offset this $400/month savings in other areas so I wouldn’t have to impact our debt payments as much. But I want to be honest with everyone about what’s going on. I think this could present an interesting story too…. In my original balance post (seriously, give it a read if you haven’t yet. It really explains my mind-set on the matter pretty well), there seemed to be many readers who were interested in a more balanced debt-payoff schedule. And I think it’s still a fabulous goal: cash-flowing a vacation planned for 2 years deep into debt-reduction mode. By that point we should be down to only paying off student loans, anyway. So, no worries. I’m keeping my momentum up. But this will be a new, fun road to travel too. Did you take any vacations during your debt-reduction mission? Did you feel that it helped (by giving a nice mid-debt-reduction reward for your hard work) or hurt (by taking funds that otherwise would’ve gone toward debt)??? Anyone with personal experiences in this domain? I’d love to hear how it all worked out! We’ll be taking one to see my son graduate from high school next year (June 2016). Usually we would have only stayed 2 days or something. I haven’t seen him in person for 3 years so we want to spend 6 days down there an spend time with him. Plus we want to do some sight seeing since my husband hasn’t seen much of that area. We still are working on reducing debt. As soon as I get a job we’ll start saving $135 month so we’ll have about $1700 saved to make this happen. A big expense is the hotel. This is huge to us since we usually just do weekend trips or stay-cations. I’m the same way! All of our trips in the past 4 years have been super cheap. We’ve traveled to see family, but they’ve helped to offset the costs involved (offering housing, helping to pay gasoline, eating at home, etc.). The last “real” vacation we took was for our honeymoon back in 2010 and, of course, it was paid 100% on a credit card. Planning ahead, saving up, and paying CASH is a huge change for us but one that I’m really excited about! LOL We didn’t even take a honeymoon. Also take the trips while you can. You never know what can happen at a later date health wise or anything else. I know a lot of people who don’t take the trips then end up not being able to because of an accident or what have you. Enjoy time with your Mom! I personally cringe when I see someone up to their debt in eyeballs planning an expensive vacation. & usually a debt support group will think it’s a great idea because everyone is in debt! That said, I don’t feel that way in this specific situation. Firstly, you have been making GREAT progress. Secondly, you aren’t in any amount of *insane* debt. Maybe you are, but just not the debt load I usually see justifying this kind of thing. So it doesn’t make me cringe quite so much in horror. 😀 Lastly, When the last few bloggers left I didn’t really feel they would stay out of debt for any length of time. I think not only is it important to get our of debt but it’s also important to STAY out of debt. Your plan to save up cash for this vacation. & my first thought is, “That is someone who might actually stay out of debt once they get out”. You know, just that you really get it that you have to save and plan ahead. I think this could be an important part of the journey. The devil’s advocate side? I don’t know if we will ever pay that much for a vacation. (My family (4) is going to Hawaii this year It’s not like we don’t go anywhere or never do anything, but you know, we are always very creative and frugal with our travels). Oh, and a thought just popped into my head. If your mom is so generous will she really not try to reimburse you for some of the cost? Thank you for your kind words! Reading the first line I was bracing myself for some tough love (as I’m sure I’ll receive today…I’m expecting it). I might argue with you that my debt isn’t insane (I think it really IS an insane amount of debt), but I get what you mean about the debt load and agree I’ve really been working hard to try to pay it down asap! In terms of my mom’s contribution….you never know. But, one thing I didn’t say here is that this is going to be a big SURPRISE for her (no, she doesn’t read here). We’ve got my step-dad on board and my mom will think the vacation is for just the two of them. So in no way would I expect (or even hope) for some financial help because she won’t even know that we’re all planning to show up. One last thing, I’ve priced the vacation very carefully and am planning to save MUCH more than I think is necessary. I just want to be 110% sure we can cover everything (the cruise, excursions to the beach, travel costs, food costs, etc. etc. etc.) My hope is that when everything is over we’ll still have money leftover. At that point, any extra would go straight to debt. That said, have you considered just going and leaving your spouse and kids at home? That is general what we have done in these kind of situations. Paying for one or two is so much easier to come up with than funding bigger vacations for *four* people. As one who teeters on being frugal and actually living, I support the vacation, because ¡YOLO baby! Now, I don’t mean go all willy nilly with your spending habits, and DO NOT forgo this “getting out of debt” thing just for one vacation. I think you’ve made definite strides when it comes to money because instead of putting all the charges on a credit card, you made the adult decision to save for it. Are the babies going on this trip? Thanks! Yes, the kiddos would be coming with us. We’re looking at upgrading to a larger cabin size (not a suite, mind you, but one step up from the very smallest), so we can get a few extra square feet of space, but we’d all be in the same room. I’m glad you are pre-saving for it and think you will enjoy it so much more knowing that it isn’t adding to your debt load. I’ve never taken a cruise, but have heard there are lots of hidden “extras” and tips and fees so please be sure you guys do your homework so you’re not surprised financially. And hopefully – yes, I’m in the “pay off your car” camp – you will be going on this trip having your car paid off! I’m right there with you on the photo book gifts for the following year! Yes!!! Love the comments you’re getting and I totally agree. You have made great progress, you’re rapidly approaching only student loan debt, and you have a fabulous mindset toward saving, spending, financial planning, etc. This trip will be something you remember for the rest of your life. Probably one of your most cherished memories. Pretty priceless if you ask me. I’m guilty of doing this. We took a family cruise in 2013 and 2014, and yes, we’re still paying off debt. I did attempt to cancel the 2014 after we discovered my husband would require back surgery and be out of work, but it was too late, and we weren’t willing to just lose $2,000! So we went and it was well worth it. Life is about experiences and enjoyment just as much, if not more, than the hustle and bustle of everyday life. Enjoy the break, relax, and come back refreshed!! You’ve made awesome progress and I have no doubt you’ll continue to do so. Plus this gives you something to look forward to, which was always motivating for me. Also, I’d recommend booking in advance and making payments. This is how we did it. Whenever other deals would pop up, we could call in, and get a price adjustment. After every thing was paid in full, if the prices dropped even more, we could get on board credit. In the end our 8 day cruise was $1820 after price adjustments for a family of 3 in a balcony suite, plus we had $520 in on board credit! Cruises can be a budget friendly family vacation if you pay attention to the details. 😉 And based on the number of people traveling, check and see if there is a large party discount. Wow, that’s a fabulous price!!! I’ve already checked into it and found that you can book for a $1,000 deposit and make payments in advance. This is what we hope to do, but haven’t booked yet. I’d do it today (I’m ready, we already know the cruise, etc. ), but I’ve agreed to wait a couple months (having determined absolutely no later than May, since that’s 9 months in advance). The problem is my brother’s family and sister’s family can’t pay for it yet and I don’t want to book by myself until everyone is ready to put down their deposit and book together. But that’s a great idea to keep your eye on the price and keep calling to get price matches if sales come up! I’m really the first voice of doom and gloom? Ok then, here goes. 4,800 dollars is a LOT of money to spend on vaction, especially when you are paying 8.5% on that money. I totally understand your desire to mark your Mom’s milestine birthday, but This isn’t your Mom’s dream (which is a cruise to Alaska), its just a cruise. Couldnt you brainstorm other option that would surprise and delight your mom without costing 2,500 per person? Anyway, kudos to you for your honesty in sharing your financial decisions. I’m still rooting for ridding yourself of those high cost student loans before the end of forbearance! Thank you for cheering me on! Just to clarify, the loans aren’t in forbearance (they’re on income-based-repayment, which is different). Also, all 4 of us would be going on the cruise (so it’s not $2500/person). The total costs of the cruise (including all port fees, prepaid gratuities, and beach excursion) as actually right at $3,000, but I want to save more to be safe in case other things pop up. The idea is that we’ll have PLENTY of money so there’s no chance of going into debt for the trip, and then once the trip is complete we’ll hopefully have leftover $ to throw at debt. All that being said, I’m making it a personal goal to have paid off: license fees, medical debt, car, AND the highest interest student loan BEFORE setting sail on this cruise (in February 2016). I think it’s doable, especially if we have a higher income during the summer, as we did last summer (which isn’t guaranteed, but is common in the construction industry). Also, I appreciate the voice of dissent! Keep me accountable! Thanks for following along and rooting me on! We’re doing some vacationing (paid in cash) during our debt repayment too. I think you’re finding some good balance. Lately it feels like you’re constantly changing your plan/focus and that is a little worrisome, but you’re making great progress. Thanks for the tip on the book! I’ll have to see if I can get it through our library! You make a good point, Cheryl! It’s so hard to balance the whole “living life” thing with my debt reduction mission (which I do take very seriously). And you’re right that my mom isn’t ill and this isn’t her dream Alaskan vacation. But honestly if we were to wait until everyone could afford the Alaskan cruise (“everyone” includes my sister’s family and my brother’s family) then I fear it would never happen. This is something that everyone feels more comfortable with being able to handle financially and we’re rarely all together at the same time (and have NEVER had a full family vacation like this as adults), so I think there’s some value to that. I understand wanting to do something for your mother, and I think saving for it instead of going into debt over it is the best way to do it. But, since it is not possible for you and your sister to arrange an Alaskan cruise with all of you, why not go with the Alaskan cruise for just your mom and your stepdad? Wouldn’t she finally get to go on her dream cruise that way? Also, I think if you were down to just student loans, I would feel better about saving $400/month toward a vacation. I am surprised along with you at the amount of positive response you have gotten. I have never understood or agreed with people who stop everything to get out of debt. Another poster has already said that you think in the long run they are going to be back in debt. Moderation is the key. No one acquired debit overnight and usually not even in 2 years so why do we expect and demand that you stop everything for 2-5 years to get out of debit ? As someone who has postponed so many things to wait for a “better time” that never came, I say go and have fun. Yes, you’re still in a lot of debt. But you’ve made amazing strides and I can tell that you aren’t someone to give up before everything is paid off. You’re doing this responsibly and with forethought, so I don’t see any problem with it. Your message (about waiting until a ‘better time’ that never comes) really struck a nerve with me. One of my good friends had planned on waiting until she landed an academic position before trying for a baby. She ended up having a “surprise” baby her last year of grad school. The next year she finally landed her dream position and literally 2 months into the semester she was diagnosed with breast cancer. She won’t be able to even try for a baby for another 6 years due to the medication she’ll be on…and she’ll be 40 at that time. If she’d waited to have her child, she may have never gotten the chance. Just saying….nothing is ever guaranteed in life. I agree with most posters here. That’s a ton of money for a vacation, especially since it’s not even your mom’s “dream” vacation. I’m not up on cruises but it sounds like you’re going on a real top shelf trip – I’ve seen cruise deals from $300 for a quick one down to Mexico. Oh no, it’s definitely not a top shelf trip. I explained in a reply earlier, but basically I’m trying to save way more money than I think is necessary. The cruise we’re looking at is advertised as $500/person, but when I went through the whole process (adding on pre-paid gratuities, taxes, fees, etc etc etc), it came to right at $3,000 (for 4 of us). So there are a lot of add-ons above the advertised price AND we’re saving well over the amount we think we’ll need just so there’s absolutely no way we’ll have to pay for anything using credit. After the vacation we’ll hopefully have extra money leftover to put toward debt. If you start a new job, will taking the time off for the cruise be an issue? Driving to and from Texas, and the cruise, seems like it could add up to quite a number of days. We have been on a couple of cruises, including one out of Galveston, and you can definitely stick to a budget – or go way over with all the extras (not just excursions and trinkets, but multiple new swimsuits and dressy outfits for evening meals). I love the idea that you want to gift your mother with something special since she does so much for others. I like the idea of using that money you are saving to just send her and your stepdad on her “dream” trip. Then maybe you could all get together when they get back to hear all about it. My mother is very elderly (88) and it hurts me sometimes to hear of her dreams that didn’t get fulfilled because she was so busy doing for everyone else. If my mom wanted an Alaska cruise and there was anyway to make it happen, I would do that. I don’t have to be there to share in the experience, but to let her have her dream! It sounds like you have already made the decision for the family cruise, so enjoy!!! I am sure no matter what, your mom will have a wonderful time. I can’t say that I am real comfortable with spending that kind of money, in light of your 2015 goals (which I really like!). I realize you have already made your decision, but here are my thoughts. 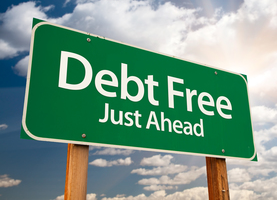 In terms of your own goals, that is a lot of money to take away from debt repayment. As you stated, your mother’s dream is an Alaskan cruise, so this is a lot of money to set aside for a cruise that isn’t even her dream trip. I think what most Mom’s want is to have their kids all together. I’d rather you throw a big party for your Mom, including all of the kids and then everyone giving her money towards her dream Alaskan cruise that she can take with her husband. That way, everyone contributes what they can afford, no one feels left out and it’s a little more budget friendly. Even if all of the gifts aren’t enough for them to take the “dream cruise”, she’ll be well on her way in terms of getting there with the birthday money. What I do hear is the importance of family to you. In light of that, perhaps a better goal is to think more long term and to decide if moving closer to family might be more important than raising your family away from them, regardless of whatever job comes along. My husband and I cruise fairly regularly and find great deals through vacationstogo.com’s 90-Day ticker. I know that’s hard when you’re including lots of other people, but check it out. You might find an even better deal! Thanks for the tip, I’ll have to check that out! My husband and I love to cruise. There are tons of websites that outline how to cruise frugally. I’d love to see blog posts about your plans. The biggest advice I have is not to pay for the cruise line excursions. The same “adventures” are available on shore for usually a third of the cost. In the Bahamas, my husband and I negotiated an island tour for $8. We had one of the best personal tours for the whole day. We gave the guy $30 cash for the same tour the cruise was offering for almost $80/person. Wow, that’s incredible! I had no idea this was the case, so thanks for the heads up!! Go for it. I had mixed feelings about it at first, but time with family is precious, and as someone who lives hours from my family (and across the country from my closest sister), you won’t regret it and will remember it forever. I know you are careful with spending, but there’s always room to cut back – find it. Sell stuff you don’t need anymore. If there are local facebook buy/sell groups, those are a great place to sell clothes you don’t need anymore, baby stuff, etc. You can sell for more than you would at a garage sale. Plus they can be a great place to buy birthday/Christmas gifts – especially for kids. I’ve bought 90% of my son’s clothing from these local sites and now have a full wardrobe for him through 3T (he’s just getting into 18 month size). Many of his toys came from these sites too – new or like new condition. I know other commenters said you should wait and save for an Alaskan cruise since your mom is healthy and that’s her dream, but health isn’t guaranteed. Think of this as your one-time “still in debt” splurge, but really think about where you can cut back or earn more money (even $20 at a time is helpful) to help offset the cost and continue with your debt attack. Also, I wouldn’t think of it as a “reward”…it’s easy to slide into thinking that deserve more “rewards” as your balances get lower – especially as you start to pay off debts. A reward is a $50 massage or a night out with hubby. No one deserves a $5000k “reward” while still in debt. This vacation is definitely a splurge and should be thought of as such – keep in mind that it’s money that you are taking away from your debt repayment, and maybe that will motivate you to make other cuts or earn more. Can you cut cable (for just a year?) and use Netflix? You’ll still have to pay for internet, but we don’t miss it and it’s been almost 2 years. You may think you “can’t live without” certain shows, but you can. Splurges should require sacrifice, so really think about what you can cut. On this note, is “suspending” your cable an option? My husband and I suspend our dish subscription during the summer or during months where we need to be particularly frugal. My thoughts are similar to a couple of other posters. 1. Family is important and for your mom’s 60th birthday, you want to do something super special with the family to celebrate. 2. Your mom has a dream of an Alaskan cruise, but you can’t swing that, so you are going to do something similar that would allow the whole family to participate. 3. It is very very important to you to enact a grand gesture to show your mom just how appreciated she is and that she should do something for herself. So, with those three things in mind, I think what I would do if I were in that situation (and not just because of debt being a priority) is have everyone contribute $ towards sending Mom and Stepdad on her dream cruise – the one she REALLY wants to take. Because family is also so important, you could use a couple hundred dollars to throw her a big party with all her family there, all in one place to celebrate her and be together and then imagine the look on her face when you tell her that she can take her dream trip on that Alaskan cruise! In my opinion, for what it’s worth, it might be nice for her to take a nice grown-up cruise, with her husband in which she can truly relax and enjoy every minute of it without worrying about anyone else – is this granddaughter feeling ill? We’re supposed to meet them for dinner, but I feel like taking a long nap and going later, etc. etc. If she is always doing for family, I would give her a chance to do for her, in her own time, at her own pace, on her real dream cruise. Having said all that, you sound like a daughter that any mother would be blessed to have. It’s obvious how much you love her. I think this is the best idea, too. Particularly since you have mentioned that neither your sister nor your brother are able to book the trip yet due to money concerns. It would be so much less money per sibling to send two people on a cruise to Alaska than it would be to have three families plus your mother and stepfather go on the other cruise out of Galveston. You should have a wonderful FAMILY party for your mother and present her with the gift of the Alaska Cruise. We did something similar for our parents’ 25th Wedding Anniversary. We gave them a photo album showing all kinds of photos of the wonderful things they were going to do and see during a three week trip to San Francisco and Hawaii. I know that YOU want to go somewhere, too, but this gift is for your mother. You can plan a family trip another time — maybe someplace a bit more affordable than a cruise. Have you ever done a debt snowball calculator that tells you your debt free date? It seems like with the big amount of money you put towards debt each month, this trip will only set you back 2-3 months, maybe not even that long if you don’t spend all the money you saved. I hope you guys enjoy your time with family! I see the appeal of this, but I’d be behind it more if you could save half of the $400 per month through cutting from your current budget–things like Cable TV (you can watch a lot over the internet), eating out, groceries, etc. Rather than simply taking the $400 from debt repayment, are there ways you can strip this savings from your existing budget so that debt repayment takes less of a hit? Having just gotten back from a fantastic multi-generational family reunion-style vacation in an exotic location, I can say with certainty that what you have planned will be an incredible experience that you will be remembering fondly forever. So, go for it! 1. Have you considered making the trip at least somewhat contingent on achieving some sort of income goal: e.g. your new job or your husband’s business getting to a new level? I know the long lead booking time may preclude this. 2. In your intro blog posts, I recall you had lamented some other trips that you had taken that had contributed to your debt situation. Maybe these could be the subject of future blog posts, and thinking through those could help you prepare for the upcoming trip? I agree with the posts that say that the REAL gift would be sending your mom on HER dream cruise, not on a meh, affordable compromise that not all her children are able to attend. Instead, plan a weekend / overnight birthday party for her (either before or after) that ALL her children can attend. it is kind of funny that my dream vacation was going on an alaskan cruise with my husband for our 30th wedding anniversary 4 years ago. but when the time came we decided together that it would be much better to pay off our mortgage instead and we did. i have to say that is the best thing we have ever done as a couple and it continues to give us joy each and every day. i still would love to go on that cruise but everything we do is paid in cash and this year we are replacing 12 windows in our home. everyone has their priorities and eventually that cruise will make it to the top of our list. i do agree with other posters who suggested you and your siblings chip in and give your mother her dream vacation. i would love it if my children did that for me. Just catching up after being on vacation (oh the irony!). We were in Cancun for a few days, and we did a day excursion to Chichen Itza, one of the Mayan temples. It was a big tour group; one of the ‘younger’ couples was talking about going to Brazil (I think) and one of the ‘older’ couples said to do it while you’re young; I think the husband had had knee replacements. Therein lies the dilemma that people keep talking about (health vs money). I’ve taken my dad on two ‘bucket list’ trips (England to see his uncle’s grave from WW2 and to see the USS Alabama in Mobile). Now he’s on peritoneal dialysis, and I’ve had to figure out how we can fit his $38K dialysis machine on one of our little 50 seat airplanes (I work for a regional airline, which makes travel more affordable). The bottom line is that we all have different priorities on how we want to spend our money – and yes, I think we need to spend money even while we’re paying off debt (how much & on what is always debatable). Kudos to the woman who put off her Alaskan cruise to pay off her mortgage and is now getting replacement windows while waiting for the cruise to get to the top of the list; that’s her priority. Yours is spending time with your family and honoring your mother (my mother is the same way – taking care of her unmarried sister who has dementia – her 70th bday is this year (as is my dad’s) and my parents’ 50th anniversary is next year). I’ll look forward to seeing updates on your trip planning and will await your report when you get back! It’s so true! We all have to pick and choose our different priorities. I’ll definitely be sure to blog about our planning/saving/etc. throughout the process and will give recaps about what we did to try to save money and make our trip more affordable. A late comment – in 2006 I went on a special cruise with a very special person (family). In 2007 I had a critical illness, months on life support, lucky to be alive ‘critical’. I remember lying in that hospital bed thinking ‘Thank goodness we did that, he’ll have the memory’. Oh my gosh, I can’t imagine how devastating that must have been (and maybe continues to be? Surely there are profound long-lasting effects)! I’m so glad you pulled through and are here to provide this perspective! It’s so true that sometimes making memories is the most important thing!! I happened on this blog post via a related blog, so I can’t claim to be well-versed in your debt situation. However………why on earth would you do this? As many of the other commenters pointed out, this is not your mother’s dream cruise — hers is Alaska. A cruise out of Galveston means you will have several days at sea (since you have to traverse the Gulf of Mexico). And it most likely will only dock at a few, overly-touristy ports such as Cozumel or Nassau, unless you are lucky and there are more exotic destinations on the itinerary. If there are ports that aren’t the usual run-of-the-mill types, do you have passports already (an added expense)? You don’t necessarily need a passport, but it can certainly expedite things, and if you’re traveling with small children, you WILL want to get through lines as fast as possible. A passport is also crucial if, for whatever reason, you miss getting back to the ship while in port (for example, if — heaven forbid — someone becomes ill and is hospitalized in port and cannot complete the cruise). Finally, although it is commendable that you want to enjoy the experience as a family……do you actually think your small children will remember much of this trip? Why not either (1) wait until the children are older (you could always wait until your mom’s 65th birthday…or her 61st — it will likely be just as special to her regardless of whether it’s a “milestone” birthday or not) or (2) as others have already suggested, go on the cruise with just you, your sister, and your mom and stepfather. Or do as another suggested and send your mom and stepdad on the Alaskan cruise but also have a big family party. Sorry if I’m sounding negative, but it just seems irresponsible of you to plan this trip when you are still carrying a large debt load. And also somewhat selfish since you’re thinking you “deserve” a trip, too, rather than unselfishly giving your mother her dream trip.